Welcome to the Prestbury Marketing & Consulting website. We specialise in helping businesses and organisations improve the effectiveness of their marketing and PR. If you think we might be able to help you then please do not hesitate to get in touch. Prestbury Marketing was established in March 2010. We recognised that lots of businesses have a need for additional Marketing and PR resources or skills, but don’t necessarily have the budgets to stretch far enough to recruit the resource they need. We offer a wide range of Marketing and PR services, for some of our clients we are their only resource, for others we top up their existing resource or provide a skill set they do not currently have. What sets our consultancy aside from others is our total focus on practical solutions that deliver an excellent return on investment. Unlike some other agencies, Prestbury Marketing is not biased towards any particular media or service. This means that in each and every instance, recommendations will be designed around your needs and not what an agency has to offer. 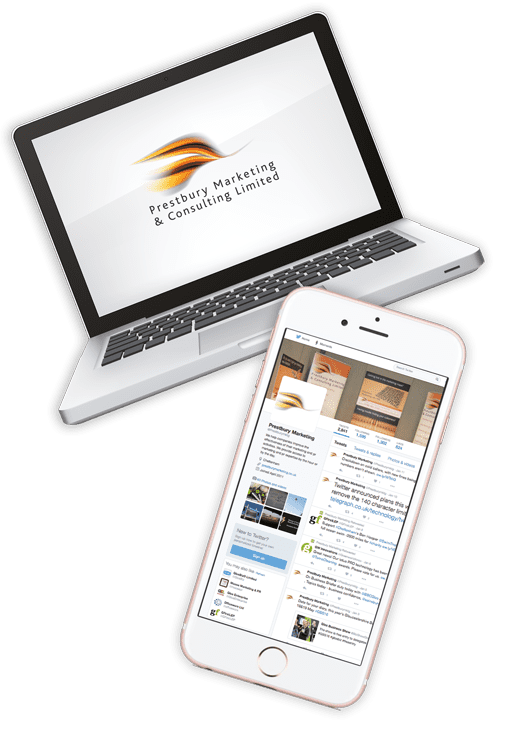 Prestbury Marketing & Consulting can be hired by the hour or by the day either to complement your existing marketing resource or to give you access to over 30 years’ Marketing and PR experience. We work with everything from start up businesses to some of Gloucestershire’s top 150 businesses, we also have clients in the Midlands and London. If this sounds of interest then why not email us for an initial free, no obligation discussion.